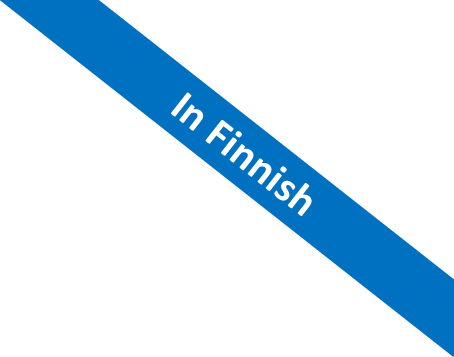 We aim at developing a next version of the Semantic Finlex we created in our former Linked Data Finland project. The new publication will be based on the new XML format of Edita Publishing Ltd, transformed into RDF using the European ELI and ECLI standards. In addition, we study automatic annotation of texts for semantic enriching, linking Semantic Finlex with related datasets, and applications of the datasets. The Semantic Finlex prototype data.finlex.fi was published in a publication event organized by the Ministry of Justice and Aalto University on March 10, 2016, at the House of the Estates. The project has been funded first as part of the Linked Data Finland project and then by the Ministry of Justice and Ministry of Finance. We have collaborated also with Edita Publishing Ltd and Talentum Media Ltd.
Everybody is expected to know and obey the law in today’s society. Governments therefore publish legislation and case law widely in print and on the web. Such legal information is provided for human consumption, but the information is usually not available as data for algorithmic analysis and applications to use. However, this would be beneficial in many use cases, such as building more intelligent juridical online services and conducting research into legislation and legal practice. To address these needs, this paper presents Semantic Finlex, a national in-use data resource and system for publishing Finnish legislation and related case law as a Linked Open Data service with applications. The system transforms and interlinks on a regular basis data from the legacy legal database Finlex of the Ministry of Justice into Linked Open Data, based on the new European standards ECLI and ELI. The data is hosted on a ”7-star” SPARQL endpoint with a variety of related services available that ease data re-use. Rich Internet Applications using only SPARQL for data access are presented as first application demonstrators of the data service. Juridical information is important to organizations and individuals alike and is linked to from all walks of life. The Finnish government has published the Finlex Data Bank for searching and browsing legislation documents. However, the data there is not yet open, is based on a traditional XML schema, and does not conform to new semantic metadata standards. There are many difficulties in maintaining and using the site in, e.g., data harvesting, interoperability, querying, and linking that could be mitigated by the Semantic Web technologies. This paper presents an approach and a project—including first results—for publishing and using Finnish legislation as a 5-star Linked Open Data service.